Caviar is another name for a diamond and it suits Almas Caviar well as this is being regarded as the world’s most expensive caviar. 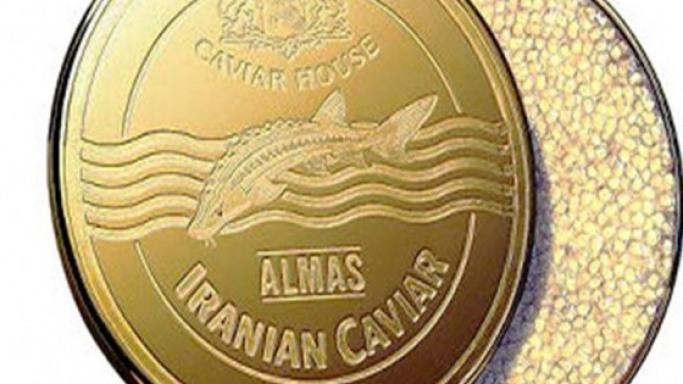 Almas caviar comes from Iran and it is rare and expensive to say the least. The price will leave you guessing as to what makes the Almas caviar so expensive and irresistible. The outlet at which one can view the Almas caviar is Caviar House and Prunier in London. A kilo of the Almas caviar is priced at $25,000. No need to get disheartened though. If you are tight on budget, you can go in for a miniature version of Almas caviar which is priced at $800. If you might be guessing as to what makes the Almas caviar so expensive, here is the answer. In case of a caviar, the lighter the colour, the expensive it gets. The caviar is categorized into various grades and you can expect the Almas caviar to come in darkest grade(0), medium toned (00) and lightest colour (000). The lightest colour (000) is the best in the colour and is what we know better as Almas caviar. As you head out to have your share of Almas caviar, remember that it has a short shelf life and if you desire to have the same, make sure that you eat it all and that too soon. What makes Almas caviar special? If you are guessing if what makes Almas caviar so expensive and special, here is the answer. Almas caviar comes from Iranian Beluga fish. The fish is found in most unpolluted waters of Caspian Sea and the pristine waters of the place make it for the Almas caviar to be special. Almas comes from eggs of albino sturgeon which is rare in itself. When it comes to eating, the caviar is eaten directly from the skin. The Almas caviar is a variety of Beluga caviar. The pearly white colour of this caviar is its speciality that pushes up its price and makes it simply amazing. Add to it the silky texture and the Almas caviar becomes, what it is. A bit of history is attached with caviar too. Though it might be a luxury delicacy in today’s modern times, the same used to be consumed in medieval Russia by peasants too. It made its entry into the world of rich and famous during the life and times of Shakespeare. This delicacy that has evolved and travelled the world over, since the days of its initial inception. People, all the world over are willing to pay up to $25,000 for a pie of Almas caviar for what is regarded as salted and sieved fish eggs. Caviar is extremely popular all over the world and people almost adore and desire the same to ensure that they are in the best of their health and spirits, all the time. Thankfully, Almas caviar has grown in popularity and people who can afford to have the same are cherishing it. Have you taken your share of Almas caviar?